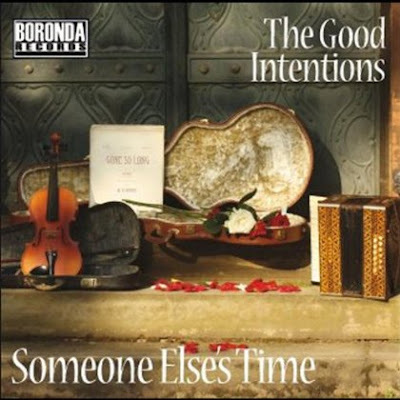 ALBUM REVIEW: The Good Intentions "Someone Else's Time"
Liverpool, England is known worldwide for its musical heritage, and the folk country band The Good Intentions are near-perfect musical ambassadors with the new album "Someone Else's Time." But from the evidence presented in the 11-song album, it is clear that the project should have been called "Our Time" That's because The Good Intentions star shines bright on their seemingly mistitled album "Someone Else's Time." Describing her sound as "country-flavored, southern-fried blues," EG Kight offers some "Lip Service" to country music on her new album of the same name. And the blues artist extraordinaire has never sounded better. Country audiences will swoon to the confident, sultry sound of the first track "Sugar Daddies," which shows that EG Kight is no Bonnie Raitt wannabe. 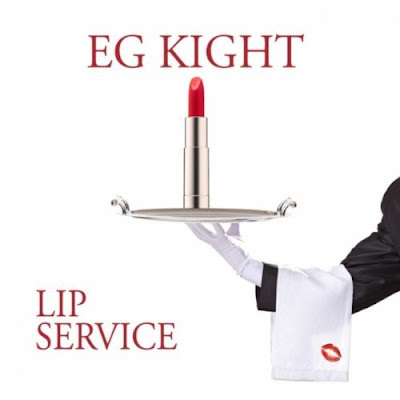 As she has proven over the years, EG Kight is an artist with a unique sound and terrific vocal performance instincts. The next cut, "I'm In It To Win It," is an upbeat celebration of self-confidence, but it is the slow-burning "That's How A Woman Loves," which is the album's biggest surprise. Kight offers a carefully nuanced performance that works by tugging at the heart. The title track "Lip Service" is a memorable delight that is catchy enough to be sold later as a movie or TV show theme song. If Reverend Horton Heat had children with Lucinda Williams they might have offspring that could form a band that sounds like Paladino on their quirky and intensely interesting "Paladino" self-titled album. The project begins with the upbeat "Lonely Mountain" that can best be described as "cowboy punk." 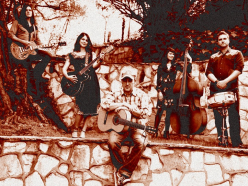 With a laid-back but fast-paced vocal style that is unusually compelling, lead singer Jonathan Harkham deserves careful artistic examination as do other founding Paladino members Chris and Adrienne Isom. Harkham is also a talented painter, and his artistic nature is the driving creative force on the album since he wrote most of the songs (and even painted the album cover). Darensbourg, a receptionist in San Bernardino, has won five CDs from award-winning vocalist Rebecca Linda Smith, including the 12-song CD "American Heroes," the 14-song CD "Jesus' Grace," the 12-song CD "Timeless," the 15 song "True Love" and the CD single "Forgotten Heroes." Plus she will receive a DVD containing pieces of the life of inspirational and country artist Rebecca Linda Smith and her husband and songwriter Dr. Robert Frank Smith - both of whom are veterans. The Chart is offering readers a chance to win a Stoney LaRue "Velvet" T-Shirt and CD in our latest sweepstakes competition in conjunction with WildfireApp - the only Twitter and Facebook approved contest app. Simply click here or the box below to enter now! 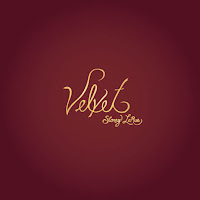 Stoney LaRue's new album "Velvet" has been at the top of virtually every album chart this month, and Stoney LaRue's hit single (and title track) "Velvet" has also been atop virtually every song chart. The winner of the contest will be chosen at random by WildfireApp software. Sweepstakes rules can be found by clicking the box below or the photo of the T-shirt and CD to your left. Good luck winning the Stoney LaRue "Velvet" Sweepstakes! The competition ends at 11.59pm CST on September 25, 2011. To enter via the Twitter interface click here. Or, click here for the main sweepstakes entry form. ALBUM REVIEW: Drake Jensen "On My Way To Finding You"
Drake Jensen has a deep country voice that could just as easily come out of El Paso, Texas rather than the island of Cape Breton in Nova Scotia, Canada - where he was born and raised. Nevertheless, the country crooner is on his way to finding his own country music dream with his surprisingly accomplished new album "On My Way To Finding You." 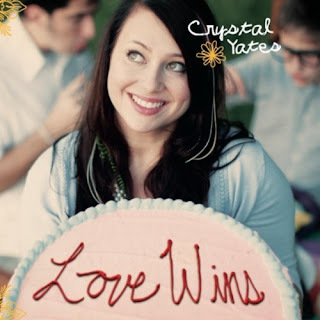 The album's first single "Wash Me Away" received a music award, and the track has a hard-driving beat with a memorable melody. The new single "All You Need" will please traditional country fans, and it actually has a retro-cool George Strait meets Mickey Gilley vibe. Stoney LaRue and Deryl Dodd Top First Ever Fan-Voted "Texas Country Chart"
Texas Country Music's first ever fan-voted "Texas Country Chart" Top 40 Songs was published today with Red Dirt star Stoney LaRue's hit "Velvet" and Deryl Dodd's "Baby Where's My Bottle taking the first and second spots respectively. The fan voters found some country love for Eli Young Band's mega-hit "Crazy Girl" at #3 and Reckless Kelly's "Good Luck And True Love" at #4. Rounding out the Top 5 is "Ballad Of Rosalie" from Cody Canada & The Departed. Placing in the sixth postion of the September 13, 2011 chart was Max Stalling's "6 x 9 Speakers (Revisited)." Next, "Hell Yeah, I Like Beer" from the rockin' Kevin Fowler and Casey Donahew Band's "Breaks My Heart" dropped in at #7 and 8 respectively while "The River Song" from Mark McKinney arrived at #9 "Too Big To Fail" from Brandon Jenkins is the #10 song. 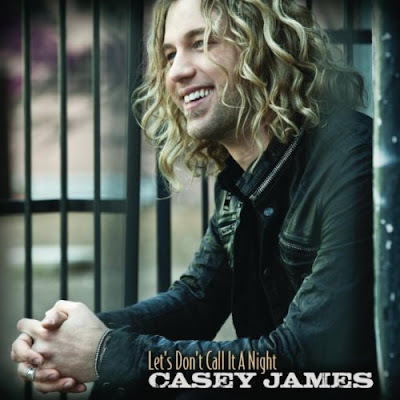 SINGLE REVIEW: Casey James "Let's Don't Call It A Night"
Fort Worth native and American Idol alum Casey James sizzles with sultry country vocals in his debut single "Let's Don't Call It A Night." The third-place finisher in Idol's ninth season begins the song complimenting his new lady friend's dress. He sings: "Love the way you look in that dress; You got me thinkin' thoughts in my head." James' vocals are pure and crisp. While the new country artist was not previously known as a country singer during his brief TV stint, his bluesy southern charm is a welcome addition to country music. Indeed, his Texas swagger and all-American good looks should also help jumpstart his country music career. The most surprising aspect of the song is not Casey James' stellar vocal performance, which TV viewers would have expected. However, James wrote both the words and music to the song, and the memorable melody is impressive in itself. Music reviewers can usually find much to criticize on 2-disc live albums. However, Slaid Cleaves makes the job very hard on his excellent new, 22-track album titled “Sorrow& Smoke" which was recorded live at Austin's famed Horseshoe Lounge. Slaid Cleaves begins the set with the terrific "Hard To Believe," which has a melodic chorus featuring Cleaves' outstanding vocals. 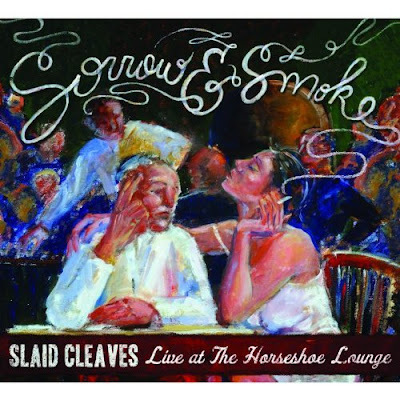 Indeed, Slaid Cleaves vocals are so pure and natural that it is somewhat difficult to distinguish the vocals from his studio albums and the live album - except for the generally acoustic nature of the 2-disc set. 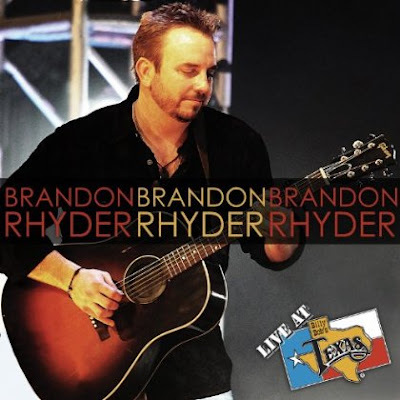 ALBUM REVIEW: Brandon Rhyder "Live At Billy Bob's Texas"
Very few artist's have the stamina and simple country charm of Texas country star and Carthage, Texas native Brandon Rhyder. Now, fans have a special 4-disc "Live At Billy Bob's Texas" set (2 CDs & 2 DVDs) that sizzles with excitement and smolders with Red Dirt intensity. The 24 songs on the 2 CDs clock in at a beefy time of almost two hours. The festivities begin with the terrific "You Burn Me" which is followed by "It's What I Do" which slowly builds to a rousing crescendo. It also must be noted that Brandon Rhyder's true country talent is startling as he belts out song after song with solid vocal performances. Indeed, Rhyder has the kind of pure country voice that could draw in outsiders to the Texas country fold. That's no easy feat.